I am loving this maxi dress print! This was a simply dress to make. 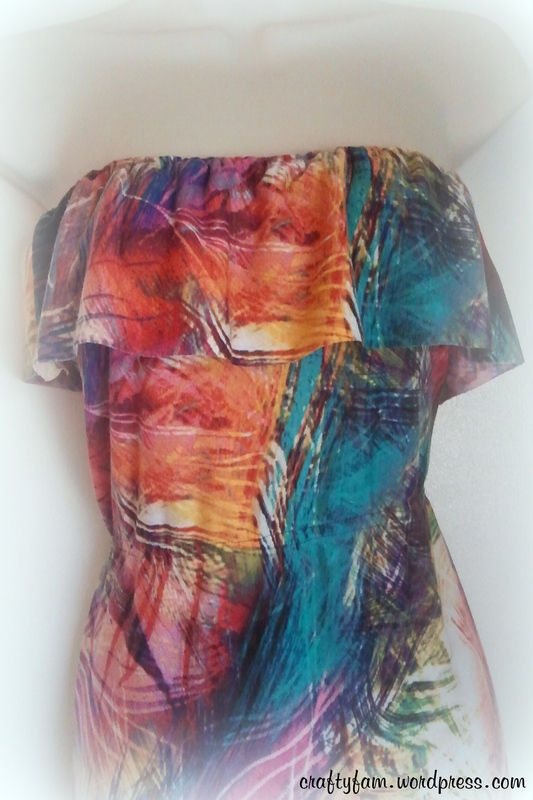 A total of 3 pieces: front, back and ruffle. 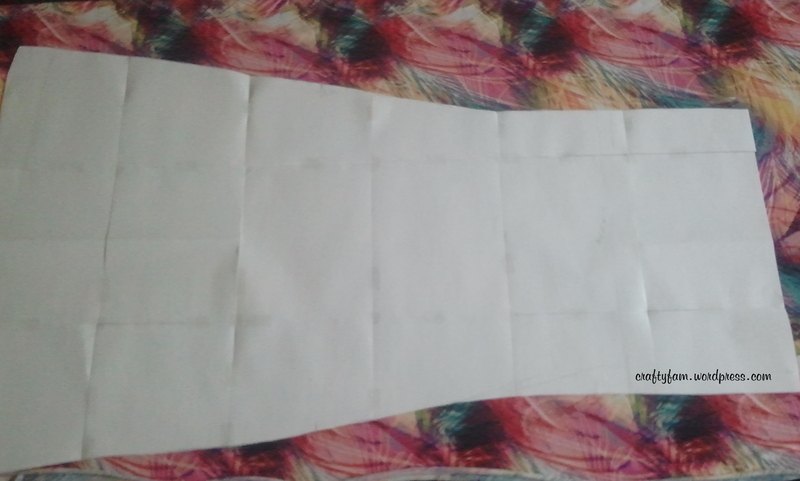 The bottom of the dress as 2 slits one on each side that goes up to the knee. The day after I finished this and wore it out for some errands I got compliments on it. How to get the dress? I just used a long flowing dress I already had for the pattern bottom part and figured out where I wanted the top for finish at. I cut 2 pieces (a front and a back piece). I decided I wanted to add a ruffle. To get the measurement, I measured my bust X ½ because I just wanted a little ruffle not a lot more. The length was 5″. I put elastic at the waist and the top of the dress. It was fairly easy to make. I think the longest part was taping the paper together for the pattern and I also got my hem stuck in the sewing machine and had a hard time getting it out. Luckily nothing got ruined.